This evening we are talking with Jennifer of Jezhawk Designs. 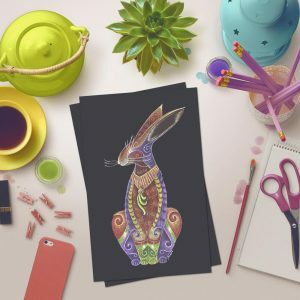 Jezhawk Designs represents the creative endeavours of artist and illustrator – Jennifer Hawkyard. 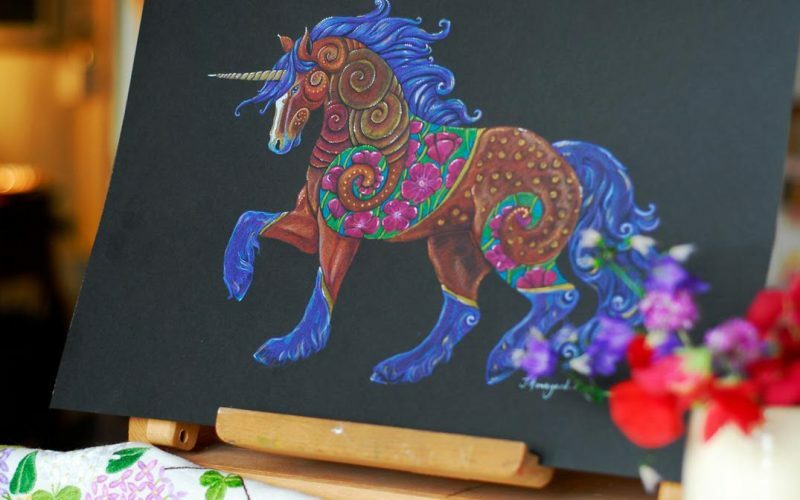 Jennifer creates unique and imaginative artworks crafted from her imagination in a wide variety of media. She lives and works in Cardigan and runs a small vintage shop called The Blue Boat at 22 Quay Street, which also holds her art studio. Are you from Wales or somewhere else? I grew up in Northern England, spent the last 11 years in Canada and moved to Wales to be closer to family and pursue my full time career as an artist. Approximately 3 years, though after opening my shop in Canada and then moving to England a year or so later, I had to shut my shop and launch it new in England. Unfortunately Etsy doesn’t allow us nomads to bring their shop along with them! Besides Jezhawk Designs what else are you known for? Having a confounding accent that is a weird mix of Northern English, Canadian and now Welsh! I’m always delighted when I get to meet the people that commission my artwork or buy it from my online store. 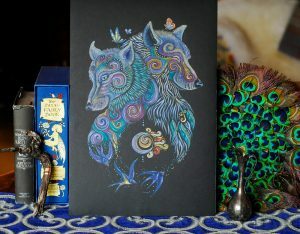 I particularly enjoy hearing the connection that people have with some of my animal totems and how they represent a certain time in their life, or a certain person, this gives me a great sense of accomplishment and reminds me of why I’m doing what I’m doing. Create what you love, not what you think other people will love. Being a creative person but also a professionally trained designer, there’s a lot of self-editing that goes on in my head when I’m creating new artwork. I’m learning to let this go and create what really makes my soul sing, this tends to be what people gravitate to most. I love drawing dragons, and a lot of people are drawn to the fierce dragon. 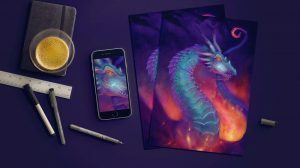 The Lightning Dragon is perfect for any man-cave! What are your top gifts for women? 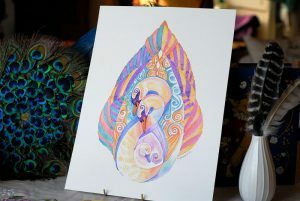 Swan Totem perfectly represents motherhood and family life, this would be a gorgeous artwork for any home or nursery. What are your top gifts for children? Hare Totem is a fan favourite and my most popular Totem to date, he’s so perky and happy! 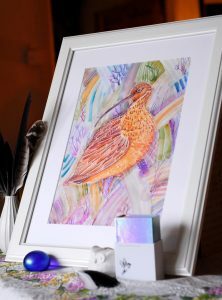 You can find Jezhawk Designs at the Etsy Made Local pop-up market in Cardiff on Sunday 3rd December. Can’t make it? Don’t worry you can also find Jennifer in the following places.